Patrick was born on the 13 June, 1896 in Granard. He went on to enlist in Longford with the Southern Irish Horse, before transferring to the Royal Munster Fusiliers. Both his elder brothers Thomas and John* also served in WW1, John having been injured at the same engagement that killed Thomas. Mrs. J.M. Wilson, Garvagh, Hon. Sec. of Co. Longford Soldiers' and Sailors' Families Association, calls our attention to the remarkable record of a Granard family in the present war - the family of Mrs. Mary Boylan, of Barrack Street, Granard. 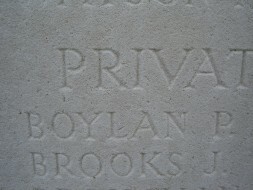 This old lady had three sons who answered the "call" when war broke out, the first Private P. Boylan 15140, 2nd Royal Munster Fusiliers, has been wounded and missing since the Battle of Alsace, on the 10th November; the second Private T. Boylan, No. 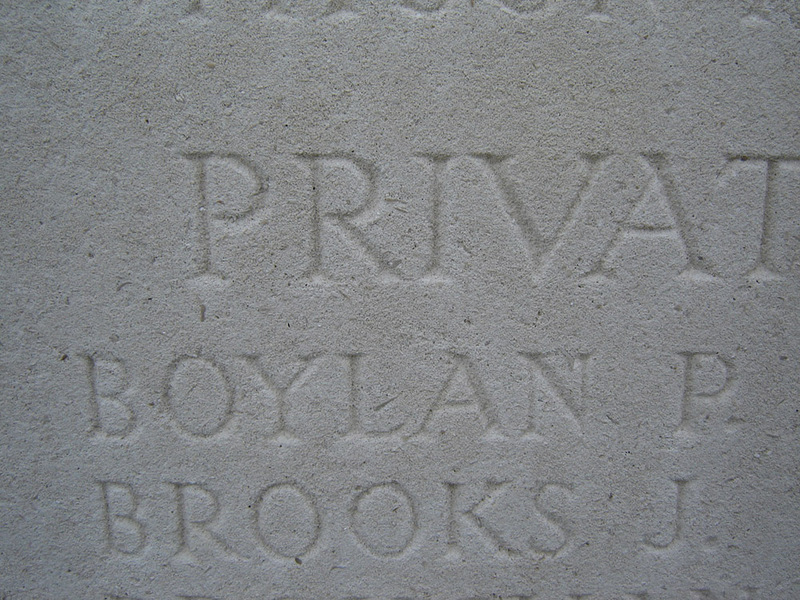 2828, [Leinster Regiment] was wounded in both legs and in the head in the same battle, and the third son, Private J. Boylan, No. 11452, King's Own Royal Lancaster Regiment, is now in France for the third time during the war. We congratulate Mrs. Boylan on the record of her family and we hope they will all return to her safe and victorious in a short time. The Battle of Alsace was in fact the Second Battle of Passchendaele, and on the morning of the 10 November 1917, the 2nd Munsters were at the front line in front of Tournant Farm**, southeast of Poelcapple on the Ypres salient. "D" company under Captain James Philip Harding, were to support "C" company and occupy Vat Farm, allowing "C" Coy to proceed to Veal Cottages. Patrick was one of 390 men of non-officer ranks from his regiment, who were killed/missing/wounded on this day. The regimental diary attributes the failure of the action, in part to the horrific conditions created by the mud. Son of Thomas Boylan and Mary (née Berrigan), of Barrack Street, Granard, Co. Longford. *John may have served under the surname Bolan. **The location of Tournant Farm may be seen on the National Library of Scotland map link below; it was located to the right of the No 28, just at the sharp bend in the road.